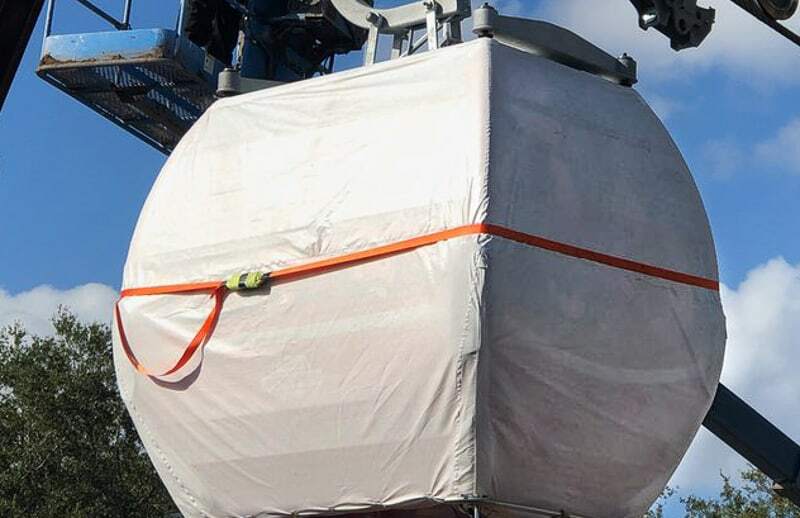 This is our Disney Skyliner Gondola Construction Update for January 2019 and there is so much to share! 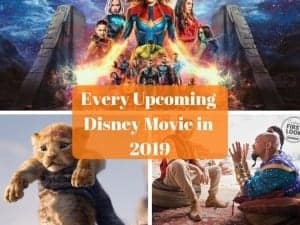 So many new things have been taking place with the Disney Skyliner over the last month that it’s hard to keep up. 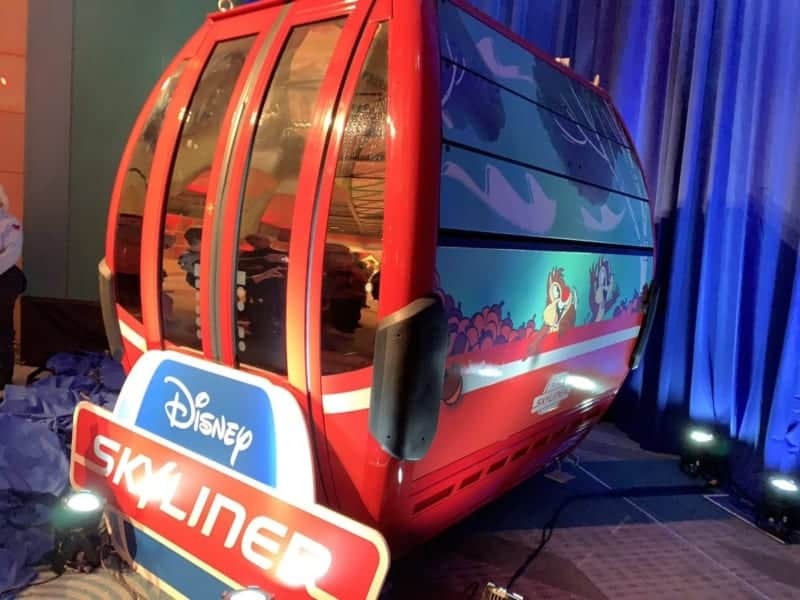 The most recent news is that Disney has been testing the Disney Skyliner Gondolas in various stations around Walt Disney World with what seems to be the actual Skyliner gondolas! 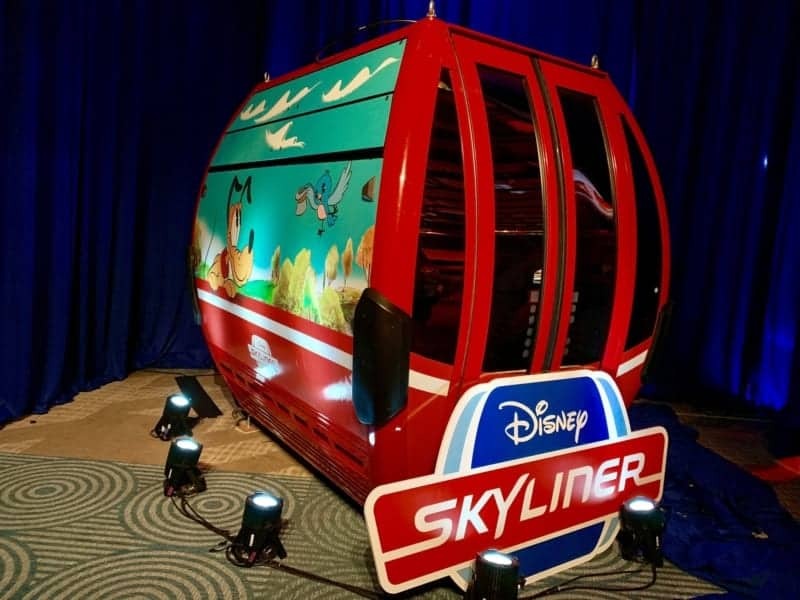 If you aren’t familiar with the Disney Skyliner, it’s the newest transportation system in Walt Disney World using suspended cable cars to bring guests from their resort to the Disney theme parks. 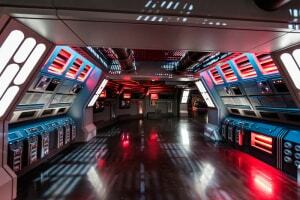 It’s a lot like the old Skyway in Disney’s Magic Kingdom but as a transportation system and not an attraction. 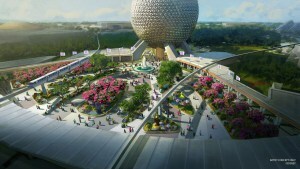 We won’t go into it too much in this post as here we’re showing the latest construction updates for the project, but it will connect Epcot, Hollywood Studios with the Caribbean Beach, Art of Animation, Pop Century and Riviera Resorts. 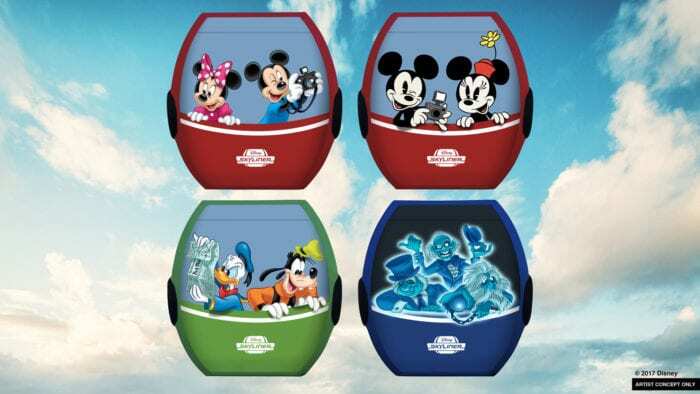 You can read more about the Disney Skyliner project here. 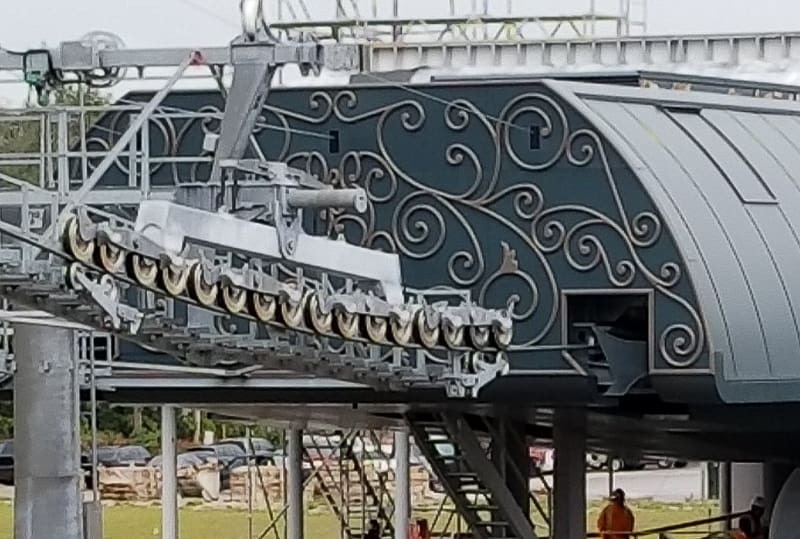 In our last Disney Skyliner update we got a look at the the massive process of hanging the actual cables between the Disney Skyliner support towers which will hold the gondola cars. 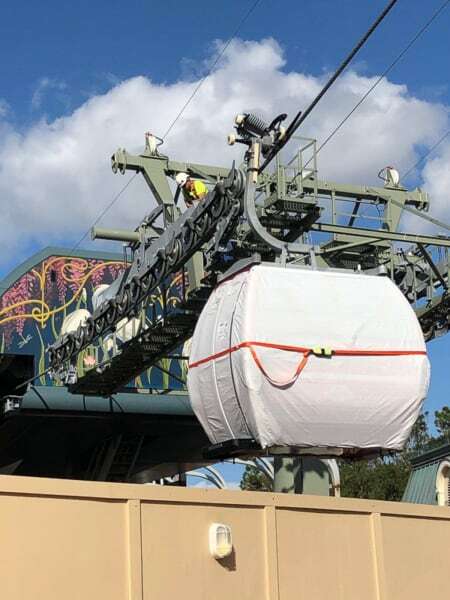 In this update we’re going to look at where the gondola cable cars are stored, a Hidden Minnie at one of the stations and testing being done of the cars. This is where the Disney Skyliner begins, or ends depending on which way you are going. The station is conveniently located in the middle of the lake separating the two properties with a bridge leading guests to the loading area. 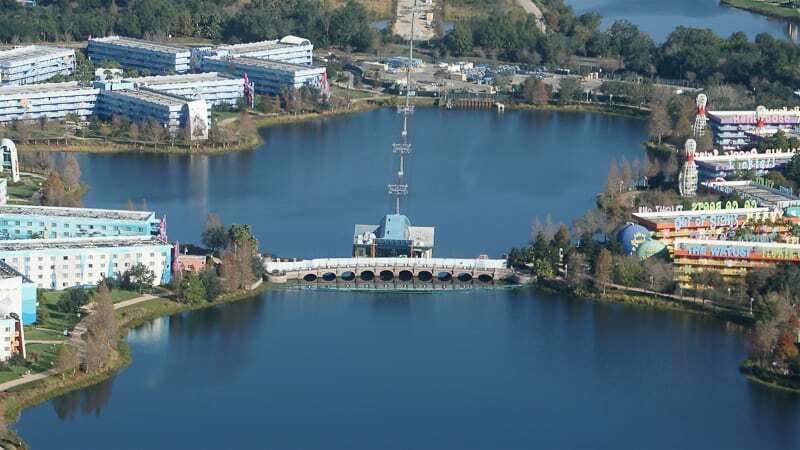 Notice the Disney Skyliner towers lined up in a row over the water. 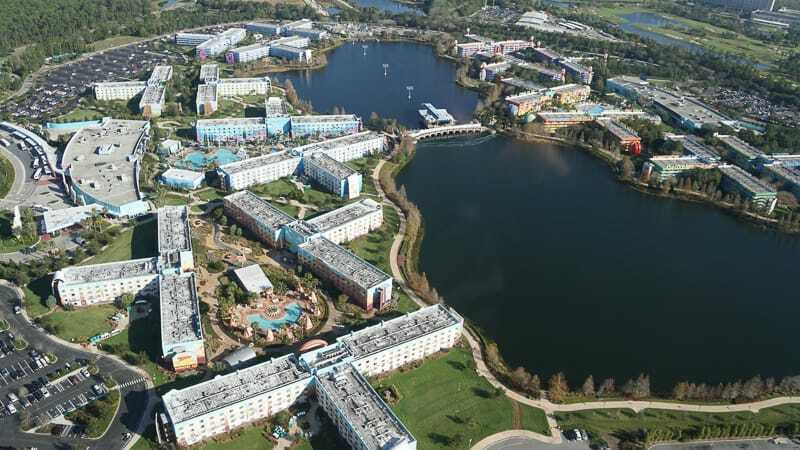 To me this will be one of the coolest spots to ride the Skyliner (besides going into Epcot) and the towers are actually pretty low over the water which will make for a nice takeoff or landing. 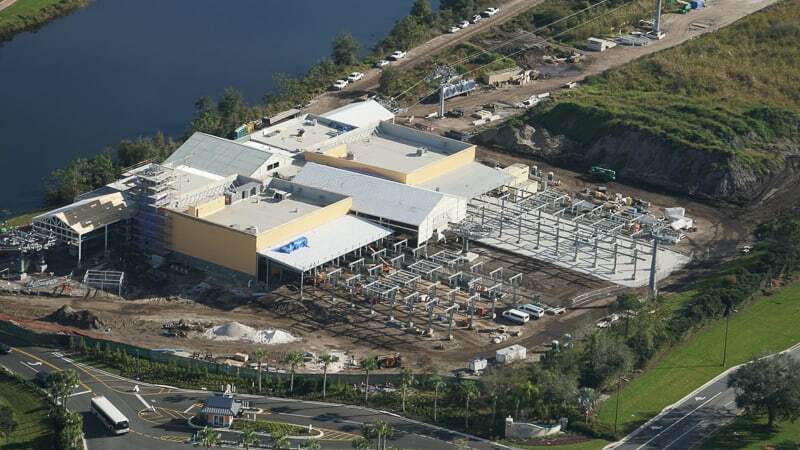 This will be one of the busiest spots on the Skyliner line with 4,800+ rooms combined between these two resorts. Once you leave those two resorts, you head up the line to the Skyliner station at the Caribbean Beach Resort. 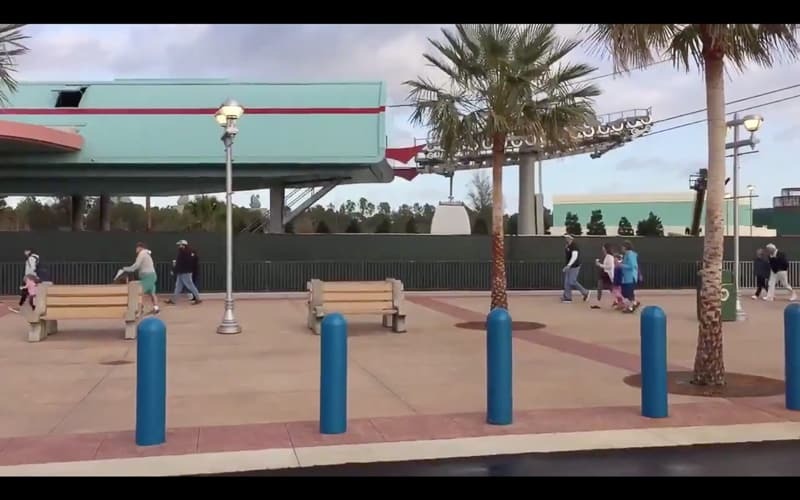 This will serve as the hub for the Disney Skyliner and the place where guests will transfer cars to their final destination. 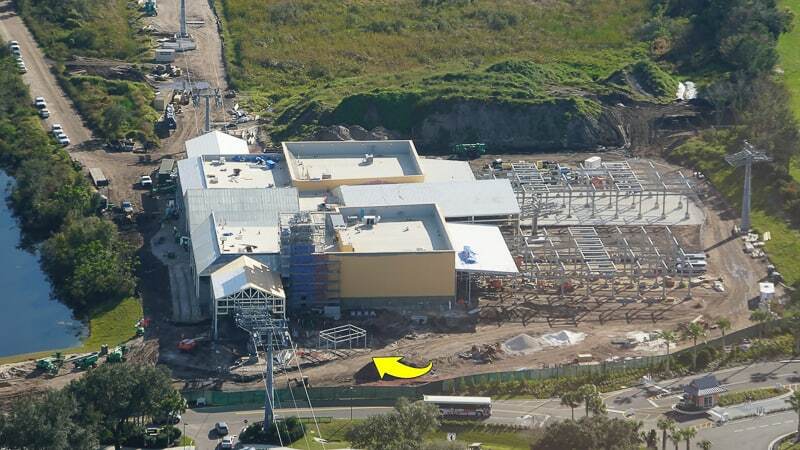 In the above photo you can see the makings of a bus stop here for guests staying at the Caribbean Beach Resort. That way when they get off the Skyliner there will be a bus waiting for them to take them to their hotel room and not have to walk the whole way. 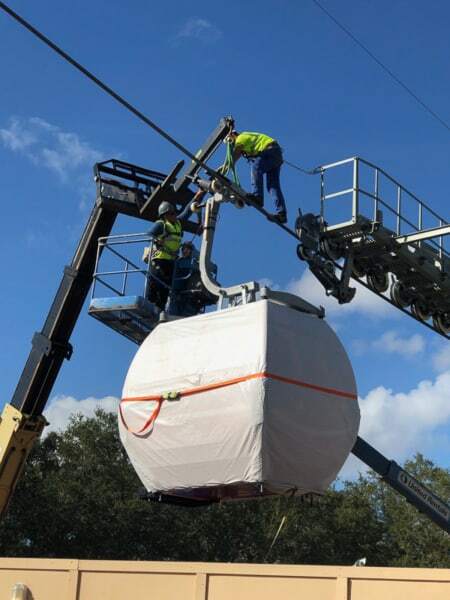 I would assume that not all the gondola cars will be kept here overnight and that some will get stored in the other stations around property, but we’ll have to see what Disney has in store for that. A Hidden Minnie in the overlay on the front of the station!! 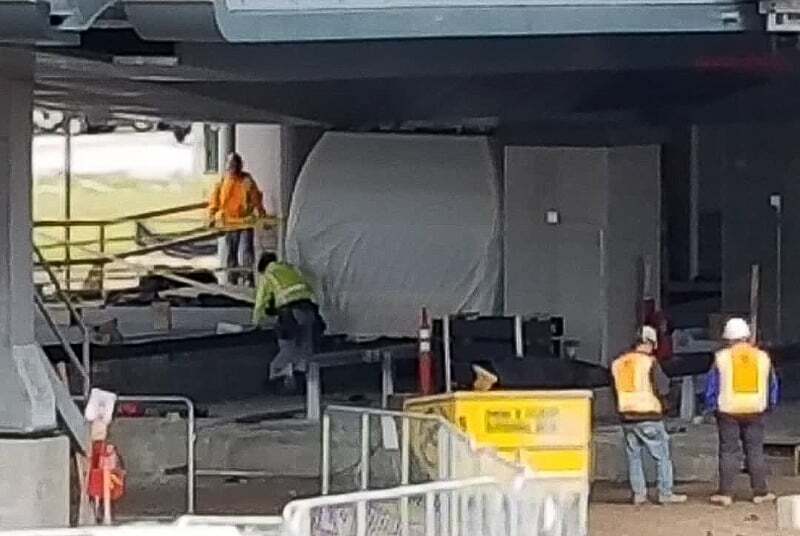 It looks like they are simulating the cars arriving into the station right now and we’ve yet to see these cars fully out on the lines yet, although that’s coming soon! If you look over to the right in the center you can see the vague outline of Venelope to the left and a bigger form which is Ralph to the right. If they are including these guys then yes, they should have quite the variety of characters available for opening. 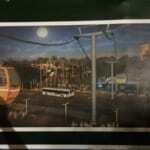 Earlier today we saw another one of the character gondola cars with Beauty and the Beast on it in the new concept art released of the Disney Skyliner station at Disney’s Riviera Resort. Once ready there will probably be at least a dozen or more unique Disney character designs on the cars, but not all of the cars will have characters, some are just plain colors. 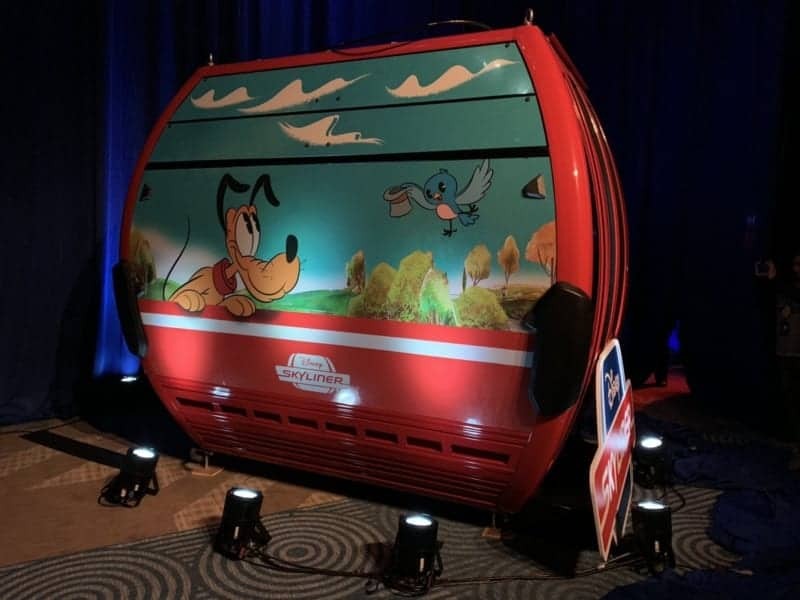 You can check out the complete list of Disney Characters on the Disney Skyliner Gondola cars here as they just announced 20 of them! 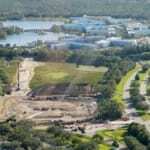 In the meantime you can follow all the construction projects in Disney World on our updates page which gives detailed info for all the new attractions, hotels and more. 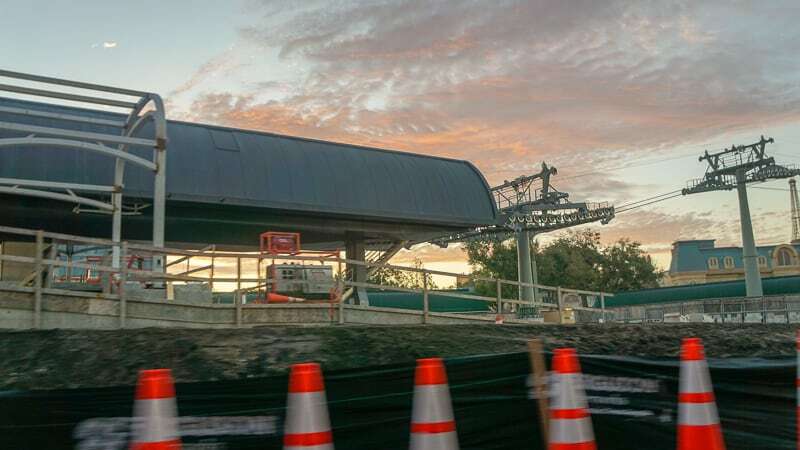 Which Disney Skyliner station is your favorite?